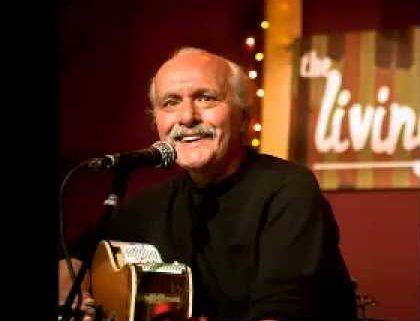 Tom Ghent, accomplished session guitar player and background vocalist, has been making music out of Nashville for 50 years. His songs have been recorded by Kris Kristofferson, Gene Watson, Bobby Bare, Rita Coolidge, Bobby Goldsboro, Mama Cass, Michael Settle and dozens of others. “Whiskey Whiskey” is considered a standard. He has played lead guitar for Mickey Newbury, appeared as background vocalist on Joan Baez’ “The Night They Drove Old Dixie Down” and Steve Goodman’s “City of New Orleans.” His live performances have seen him in the coffeehouses of the Greenwich Village, to the country honky tonks and the Folk Festivals in Philadelphia and Big Sur, the Monterey Pop Festival, Willie Nelson Picnic, and the Hollywood Bowl. He also sang the title song on the soundtrack album for the Mick Jagger movie “Ned Kelly”. The soundtrack also featured Kris Kristofferson, Waylon Jennings and Mick Jagger himself. Tom’s record label Sutherland Records,” includes a roster of Ghent produced artists from the sixties including Jerry Merrick and Justin Devereaux.